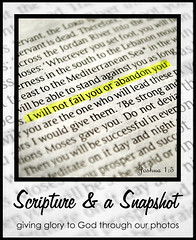 This is Week 11 of Scripture & A Snapshot. Visit Katie's blog to see more! A beautiful photo and inspiring verse. Thank you! Love that verse and love you! This is lovely - I like the way you used the rings of the tree to illustrate that great verse of scripture. 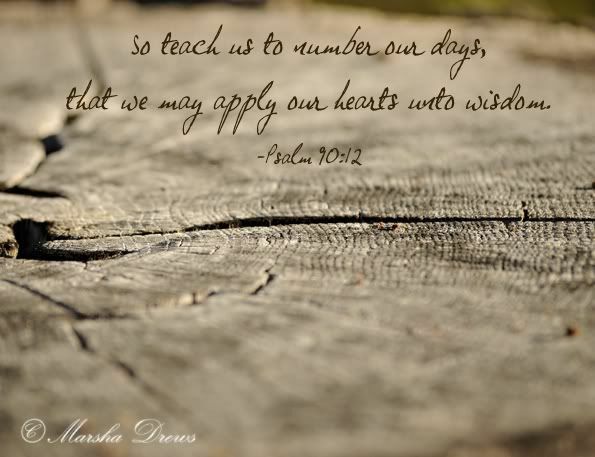 Beautiful verse Marsha, love the tree rings. perfect . I love how we can capture a shot to go with God`s word. I am continually amazed at the verses that come out of Psalms! I read through it this summer, but I'm realizing there was so much that I didn't retain!! I love that you used a tree stump - so very clever and fits the verse so well!! I absolutely love this! I need to spend more time in Psalms! Love this shot and perfect verse to match! What a great way to illustrate this verse! I really like this verse, reminds me of the song "Blink". Joining you at Katie's. Perfect illustration of this verse. Love it. Love the picture/Scripture together! perfect! Beautiful picture and words !! Great subject to go with this verse! And thank you for the reminder...especially this time of year. I just love the verse you put with this photo! What a great idea to pair it up with the rings of a tree. I agree with Natalie's comment...what a great photo to go with this verse! This is my dad's favorite verse, Marsha - and his consistent, self-disciplined approach to preaching and living the Word (and this verse! )is a constant reminder to me to do the same. Thanks for choosing this verse for today (especially as we get settled in after our BIG move, I needed this challenge to keep it in perspective!). OH that's amazing. love the tree, love the scripture.